We are in the middle of bloom. If insects have been effectively managed prior to bloom, we recommend no sprays at this time. A reminder: when bees are present your only choices of insecticides are the Insect Growth Regulators –IGR- (e.g. Confirm and Intrepid) or Bt products (e.g. DiPel). From now until August, we recommend monitoring insect populations using pheromone traps. Pheromone lures are commercially available for monitoring adult male spotted fireworm (SFW), Sparganothis fruitworm (SPARG), cranberry fruitworm (CBFW), and blackheaded fireworm (BHFW). We particularly recommend the use of pheromone traps for SPARG and BHFW. Placing pheromone traps for a particular pest is most important if your farm has a previous history of infestation. Pheromone traps are useful for knowing whether an insect is present, when it is present, and its peak flight activity. There is, however, no information available on whether trap captures correlate with amount of damage and the need for treatment. Thus, visual observations of leaf and fruit injury are also required. Traps should be checked weekly and number of moths counted. 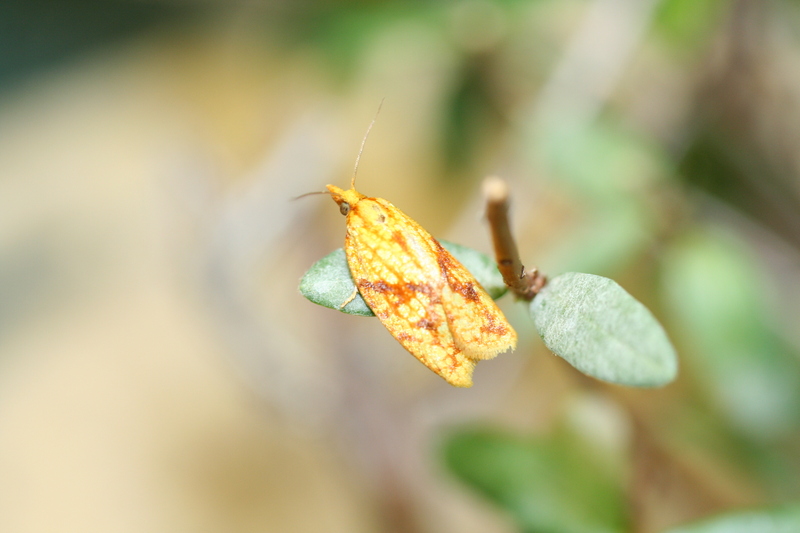 It is critical to know how to identify the different moth species before monitoring. One trap should be placed every 10 acres (whenever possible). Blackheaded fireworm (BHFW) –Eggs will start hatching during peak bloom; thus, only insecticides listed above can be used to control BHFW larvae at this time. decade in New Jersey. This decline is likely due to an increased use of effective, selective, and reduced-risk insecticides, such as IGRs, and a decreased use of broad-spectrum insecticides. Reduced-risk insecticides (IGRs, Altacor, Delegate, Bts) are compatible with natural enemies (predators and parasitoids). The use of these selective insecticides, besides being effective against lepidopteran pests, will help increase natural enemy populations. Spotted fireworm (SFW) –Adults appear in early-June. Eggs from the first generation are laid late in June. Larvae from this second generation will complete development and moths will emerge in early August and lay eggs. Eggs from the second generation will hatch in mid-August. These 2nd generation larvae will feed on berries and overwinter as 2nd instars. It is important to monitor for this insect especially in weedy bogs. Growers should conduct visual observations for SFW eggs on weeds. They can be easily detected on the upper surfaces of weed leaves (red maple, green brier, leatherleaf, loosestrife, red root, etc) on the beds and dams. Managing weeds around and in the bog can prevent SFW infestations. If eggs are not observed, then the second-generation larvae should not be a problem.